Amazing hardness and abrasion resistance. 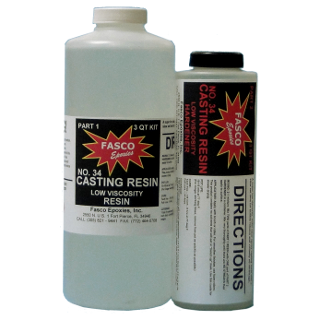 Superior chemical resistance over conventional epoxies and urethanes. 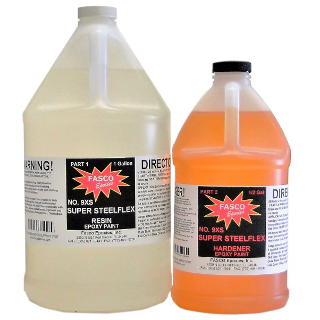 Excellent resistance to skydrol, xylol, sulfuric acid, sea water, gasoline, diesel fuel, et cet. Superior heat resistance - can be heated to 300 degrees Fahrenheit without charring. 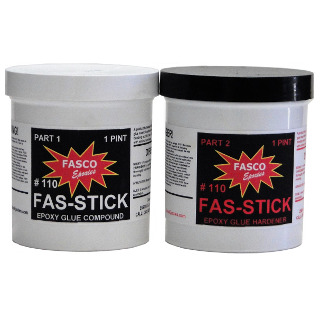 Tenacious adhesion to aluminum, steel, fiberglass, and most plastics. Tensile strength exceeds 7000 psi. 9XS Super Steelflex is a 100% solid coating. Everything in the cans becomes a part of the coating or casting. There is no evaporation and neglible shrinkage occurs during polymerization. 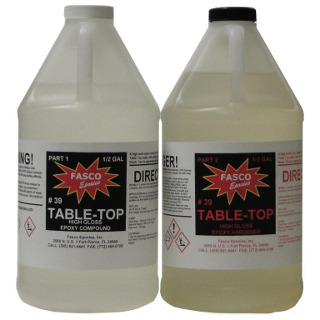 Tank Coatings - Chemical Resistance. Garage Floors - Oil spills wipe up easily with no staining. Aggregate can be sprinkled into the wet finish to provide a non-skin surface when cured. Industrial Floors - chemical and wear resistance. Coating pumps and machinery for corrosion, resistance. Many other uses where superior chemical corrosion, heat resistance and abrasion resistance is required. 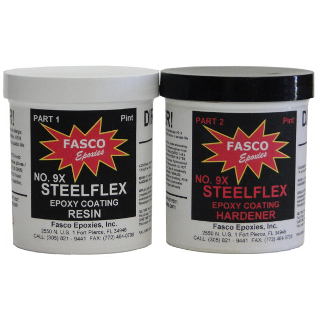 Mixing: Mix 2 parts of 9XS Super Steelflex Resin to 1 part of 9XS Super Steelflex Hardener.